The Lookouts' exciting and eventful 2011 season anticlimactically came to an end Saturday evening with a 7-2 loss to the Smokies. 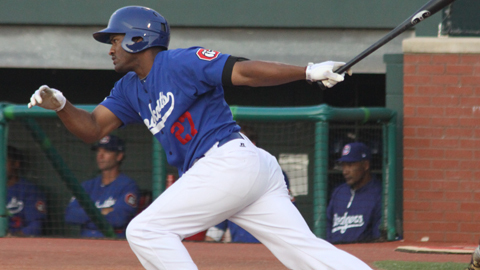 After taking the first two games of the best-of-five series, Tennessee Smokies ended the Lookouts' quest for a Southern League title with some early-inning offense and a strong bullpen performance. The Smokies came swinging right out of the gate. With one out recorded and two runners on, Rebel Ridling ripped a triple down the left field line off of Lookouts starting pitcher Allen Webster (0-1; 5-4), which took a peculiar bounce at the wall, allowing both runners to score. Josh Vitters followed with a sacrifice fly to put the score at 3-0. Alfredo Silverio led off the bottom of the first for the Lookouts with a deep shot over the left field wall. Tennessee struck again in the third inning with two more runs. A bobbled catch attempt by second baseman Elian Herrera on a throw by third baseman Cory Smith allowed one runner to score. The error by Herrera proved to be even more costly, as Steve Clevenger followed with an RBI single to give the Smokies a 5-1 edge. Ridling struck again in the fourth frame with a two-RBI double to augment the Smokies' lead, 7-1. The Lookouts had the makings of a big rally in the bottom of the fourth but only came away with a single run. Smith led off with a single and promptly advanced to third on a subsequent Brian Cavazos-Galvez single. Jake Lemmerman then hit a soft tapper past the pitcher's mound an into the bare hand of third baseman Josh Vitters, who could not make the catch and throw to first in a simultaneous motion. Smith scored on the play, but the Lookouts proceeded to waste the opportunity for a big rally by recording three straight outs. Both teams' respective offenses would fail to score for the remainder of the contest to make the 7-2 score final. Trey McNutt (1-0; 5-6) was credited with the win for the Smokies. In five innings of work, he yielded two runs on seven hits and two walks, while striking out three. The Lookouts will open the 2012 season at AT&T Field against the Tennessee Smokies on April 7th. For season ticket information, fans my contact the Lookouts Box Office at (423) 267-4849.